Photo: A group of children laugh as they stand clustered together in a big group hug. 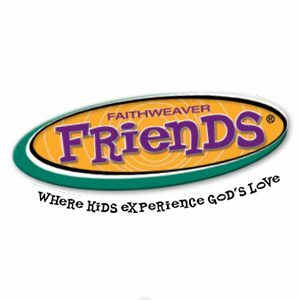 FaithWeaver Friends® is the perfect midweek, evening, or anytime program to build faith and friendships. Through prayer, praise, and journaling, kids deepen their friendship with God. By rotating through activity centers in small groups, kids grow in friendship with one another. And through community service projects, kids learn the blessing of being a friend to those in need. 3 Photos from left to right: Elementary aged children sit on a bench in a row as they listen to activity instructions. A young boy on his hands and knees smiles for the camera as other children form a 'dog pile' on top of him. A girl and boy laugh together as they sit at a table sharing a snack. Photo: A girl and boy laugh together as they sit at a table sharing a snack. Small-group "Circles of Friends" help kids build long-lasting relationships with God at the center. No one will feel out of place or left behind. FaithWeaver Friends helps you teach kids a weekly Bible verse that applies directly to the Bible Point, and then children get a chance to write or draw those lessons in their journals. FaithWeaver Friends is designed to help your kids learn what outreach is all about by encouraging them to apply each week's Bible passage to their daily lives in ways that make sense to them. FaithWeaver Friends midweek program follows the same 3-year scope and sequence as FaithWeaver NOW® Sunday school and KidsOwn Worship® children’s church. Churches that use FaithWeaver Friends along with FaithWeaver NOW and/or KidsOwn Worship will reinforce the same weekly Bible passage in a fun new way! And while these programs work great together, each one can be used independently. At FaithWeaver Friends, kids will gather at the Opening Celebration, rotate through Discovery Centers in small groups, reflect on God's Word and apply what they've learned as they write in Faith Journals, and rejoin their friends for the Closing Celebration! 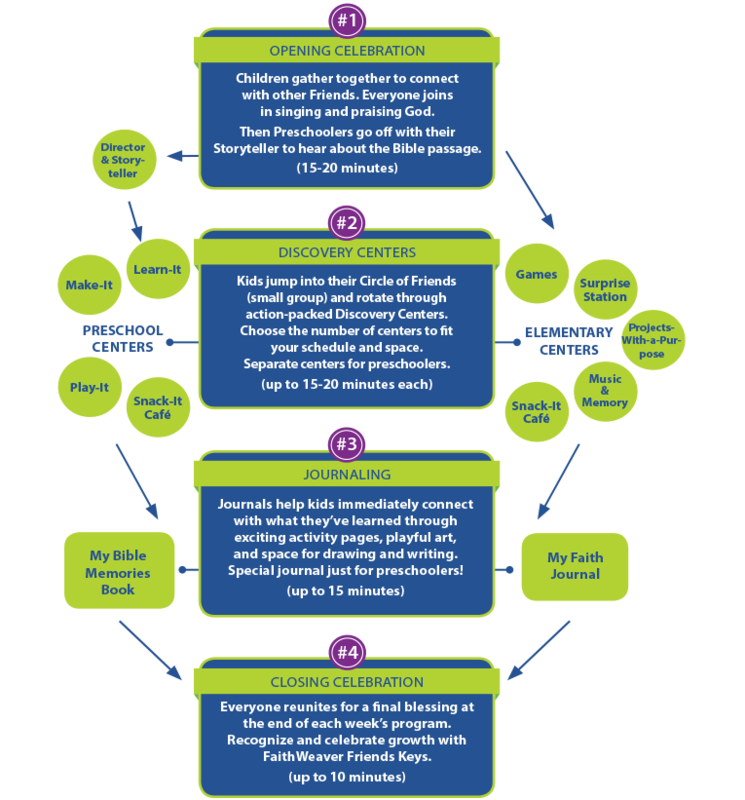 FaithWeaver Friends lesson chart showing the step-by-step flow of a FaithWeaver Friends Sunday School session: #1 Opening Celebration (15 to 20 min): Kids gather with other Friends to sing and praise God. Next, Preschoolers go with their Storyteller to hear about the Bible passage. #2 Discovery Centers (15 to 20 min): Kids form Circles of Friends (small groups) and rotate through either Preschool or Elementary Discovery Centers. Choose the centers that work best for your situation. Discovery Centers for Preschool include Make-It, Learn-It, Play-It, and Snack-It Café. Discovery Centers for Elementary include Games, Surprise Station, Projects-With-a-Purpose, Music & Memory, and Snack-It Café. #3 Journaling (up to 15 min): Kids reflect on the day’s discoveries using their own journals. Through the activity pages, playful art, and space to create their own drawings or writing, the message is reinforced. “My Bible Memories” for Preschool and “My Faith Journal” for Elementary. #4 Closing Celebration (up to 10 min): All the kids gather for a final blessing at the end of each week’s program. Growth is celebrated with FaithWeaver Friends Keys. 2 Photos from left to right: A grouroup of children sit together and laugh as one of the boys makes a joke. A young boy throws his head back in laughter as he plays a hand-slapping game with a young girl. Photo: A young boy throws his head back in laughter as he plays a hand-slapping game with a young girl. By providing meaningful activities, great discussions, and personal challenges, FaithWeaver Friends takes learners past “head knowledge” of the Bible and into heart- and life-change, weaving faith into their lives. Each week, you'll introduce kids to a Bible Point as well as a corresponding Bible story and verse during the Opening Celebration. Each Discovery Center reinforces the Bible Point in different ways to cement learning. Not all kids learn the same way, so FaithWeaver Friends offers multiple Discovery Centers to meet the needs of all sorts of learners. And not all teachers and leaders think alike. Because each Discovery Center is different, teachers can volunteer in their areas of expertise. Each week everyone writes or draws reflective responses in a faith journal. Circle of Friends leaders read what kids in their Circles have written and jot quick, encouraging comments for the children to discover the next week. Faith journals are spiritual-growth charts and memory-makers. The Director Quarterly Update gives you a planning overview for your entire program, complete with a handy supply chart for every Discovery Center. Because kids travel in combined-age Circles of Friends, big kids and little kids learn to work together. Older children help younger children during activities and games. Younger children motivate the older children to be good examples. Best of all, at FaithWeaver Friends, kids grow in their relationship with Jesus. They learn how to grow closer to the best friend they could ever have—Jesus Christ. You get free access to downloadable content with the purchase of your quarterly kits. Powerful music, audio dramas, and sound effects deepen the emotional impact of lessons for preschool or elementary age levels of FaithWeaver Friends. 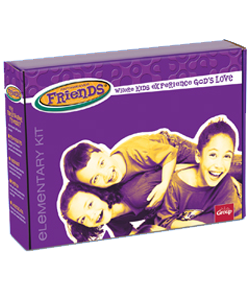 Each FaithWeaver Friends kit includes a Sound Effects and Songs CD with music that moves kids to sing out and worship their creator. Sound effects add an extrasensory dimension to lessons to help engage kids' imaginations. During the Opening Celebration, elementary kids can participate in an Instant Drama. Preschoolers have a puppet drama each week starring Theo the FaithRetriever (puppet sold separately). You can provide even more impact when you use FaithWeaver Friends alongside Group’s FaithWeaver NOW Sunday school and KidsOwn Worship children's church. All three follow the same scope & sequence. 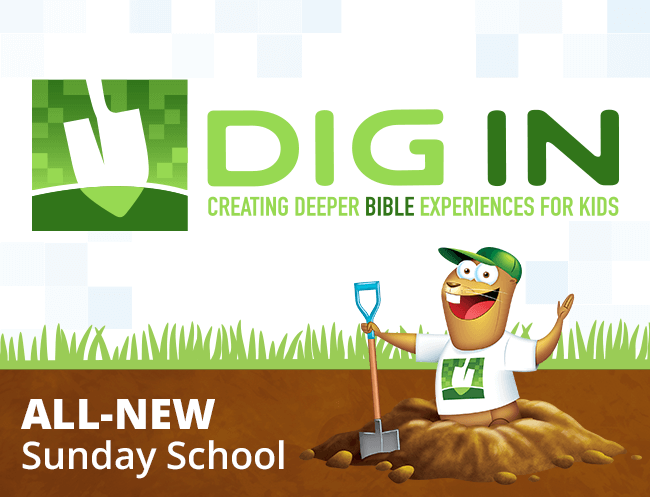 You’ll extend the fun while reinforcing the weekly message in your Sunday school and children's programs. 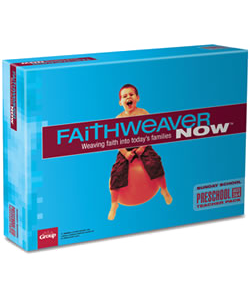 The scope and sequence for FaithWeaver NOW matches perfectly with KidsOwn Worship children's church and the FaithWeaver Friends outreach program. It’s simple: Kids praise God. Kids learn the Bible Point. And kids pray. Every week. 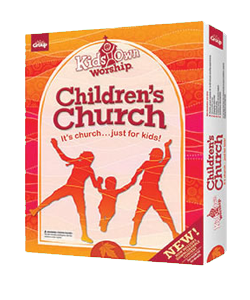 Whether you’ve got five kids or five hundred, KidsOwn Worship fits your kids’ church program. Choosing FaithWeaver Friends is Easy! FaithWeaver Friends also includes free digital copies of each of the leader guides with your purchase of a Preschool or Elementary Kit. 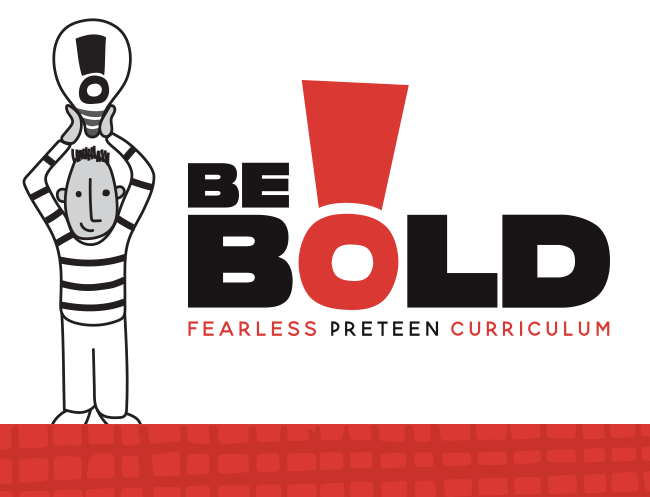 PDF files are provided on a convenient CD-ROM or can be downloaded through an easy-to-use online tool, so you can access them from anywhere or email lessons to your teachers as needed. 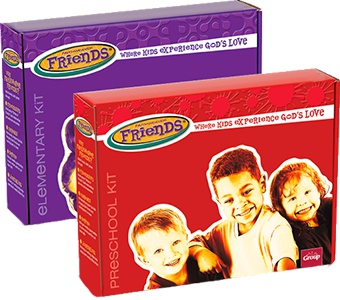 FaithWeaver Friends comes in separate kits for Preschool and Elementary age levels with everything you need to lead a fun and faith-filled midweek or evening program. Each kit includes a Discovery Center Leader Guide for each station, a Sound Effects and Songs CD, and a Director Quarterly Update. For each child, you'll need to purchase a journal, activity sticker sheet, and set of dogtags (for preschoolers) or collectible keys (for elementary kids). No summer quarter is offered for FaithWeaver Friends.